New World Library, 9781608684304, 256pp. The inner critic is the voice inside our heads reminding us that we are never "good enough." It's behind the insidious thoughts that can make us second-guess our every action and doubt our own value. The inner critic might feel overpowering, but it can be managed effectively. 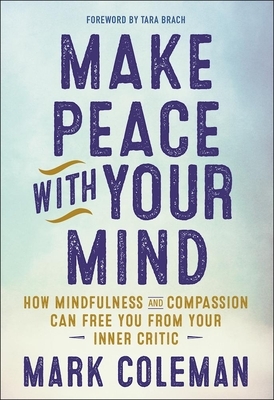 Meditation teacher and therapist Mark Coleman helps readers understand and free themselves from the inner critic using the tools of mindfulness and compassion. Each chapter offers constructive insights into what creates, drives, and disarms the critic; real people's journeys to inspire and guide readers; and simple practices anyone can use to live a free, happy, and flourishing life. Mark Coleman is a senior meditation teacher at Spirit Rock Meditation Center, an executive coach, and the founder of the Mindfulness Institute, which brings mindfulness training to organizations worldwide.